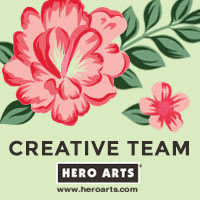 Hello there, I am over on the Hero Arts Blog today sharing a card made using the Hero Arts March 2018 My Monthly Hero Kit that will be released on Monday, 5th March. We are sharing peeks today and over the weekend using the kit, along with some of the optional extras. My card today uses just the main kit elements, along with the Nesting Hearts Infinity Dies. Using the heart dies, I made a mask and blended Distress Oxide inks inside. I used Faded Jeans, Salty Ocean and Peacock Feathers and then stamped the flower image from the kit on top with Unicorn Ink (also in the kit). 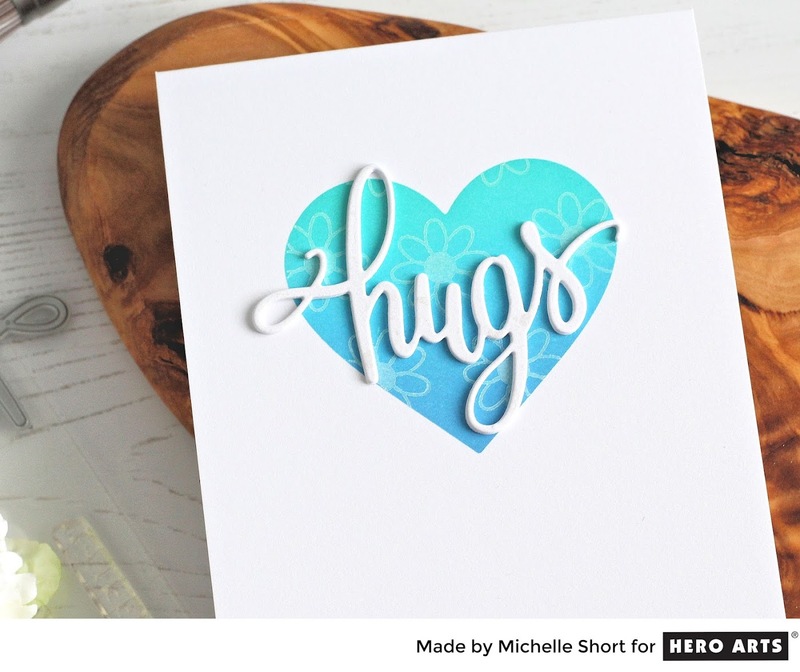 The hugs word die is one of my favourites from the kit, and I just had to use the new Iridescent White Shimmer Spray (an optional add-on) on it for some added sparkle. 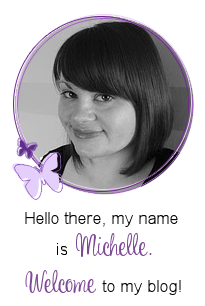 Please head over to the blog post for more details on how I made the card and for a chance to win a kit. Thanks so much for stopping by today! I love the font of the hugs!